Here at We ❤ Health Literacy Headquarters, we talk a lot about how to empower people to improve their health. We love encouraging folks to take positive steps toward a healthier life. But, dear readers, there’s a big difference between encouraging people to make healthy changes and making them feel ashamed because they’re not healthy. In one study of doctor-patient interactions, half the participants could remember a time when a visit to the doctor made them feel ashamed. Obviously, shame and guilt are feelings that we generally try to avoid. 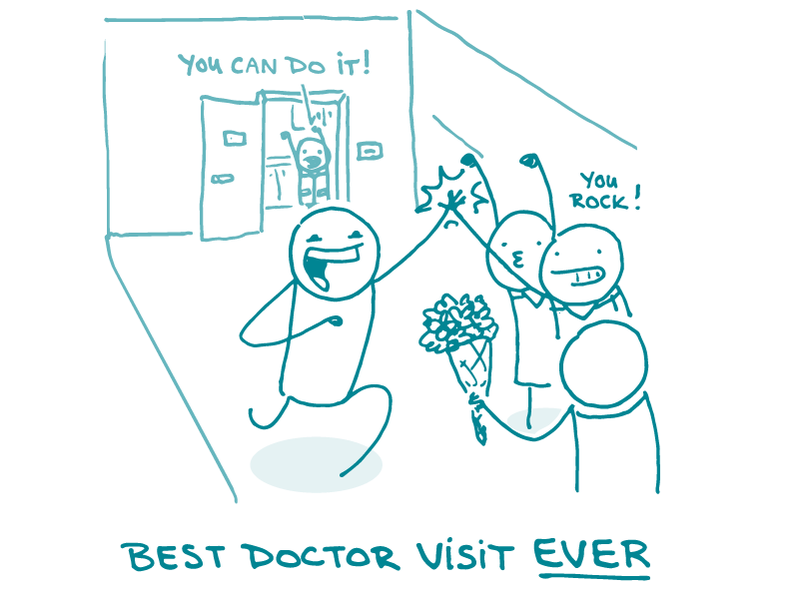 So if your experience with your doctor makes you feel ashamed about a health problem or a not-so-healthy habit you’ve picked up, how motivated will you be to keep going to that doctor for help? Whether a condition or risk factor is minor or life-threatening, anything involving our bodies is inherently personal. And even things that may be easy for some people to do (John really didn’t have a problem ditching his soda habit for seltzer!) can be really difficult for others (Moira got so stressed trying to give up soda that she doubled her intake!). Take the word “should” out of your health writing. It sets a negative tone and can make readers feel like they’ve already done something wrong. Soften tough messages by using a positive, hopeful tone. Give your readers a reason to adopt a positive health behavior. Acknowledge your readers’ emotions. Fear and shame can keep people from making healthy choices, but you can help your readers by acknowledging how they feel. The bottom line: Positivity and empowerment are more motivating than shame and guilt when it comes to encouraging healthy change.